Berlin Cathedral is one of the city's most beautiful buildings. Berlin is the capital of Germany and is one of the most important cities in the European Union. It was first documented in the 13th century and, being situated at the crossing of two important trade routes, became the capital of the Margivate of Brandenburg in 1417, retaining the title under the Kingdom of Prussia, the German Empire, the Weimar Republic and the Third Reich. It was the heartland of the Nazi regime in during World War II and the years that preceded it, and due to its status became the most heavily bombed city in history, with the allies dropping over 65,000 tons of bombs on the city during the war, causing widespread damage. After WWII’s conclusion, Berlin was divided into four sectors with those occupied by the Western Allies – the United States, the United Kingdom and France – forming West Berlin, while the Soviet side became East Berlin. The two soon became divided by the Berlin Wall, separating friends, families and an entire city; but with the end of the Cold War in 1989, the wall fell. In more recent times, Berlin has emerged as a world city of culture, politics, media and science and is one of Europe’s most important centres with world-renowned universities, entertainment venues and nightlife all a part of its cosmopolitan setup. Despite a turbulent 20th century, Berlin is a vibrant playground filled with amazing attractions, incredible art, tasty food and stylishly-cool watering holes. Long weekends will be full to the brim, and its large and varied offering will have visitors wanting to go back for more. Berlin’s something-for-everyone appeal is a major reason why you should go to Berlin. Whether you’re a history buff, foodie, sports fan or ardent clubber, there will be plenty to whet the appetite. It is not only the face value of Berlin’s attractions that form its appeal, but the number of significant sights, landmarks and institutions that draw and welcome millions of visitors each year. The Reichstag is one of Berlin’s most significant historical buildings and is the seat of the constitutional and legislative body of Germany, the Bundestag. Visitors are invited to visit the building’s glass dome and roof terrace, although advance booking is necessary to ensure your place. The Reichstag is one of the best attractions I’ve ever been to, and I couldn’t recommend it enough. In addition to entry being free of charge, the dome is one of the best vantage points from which to see the city. 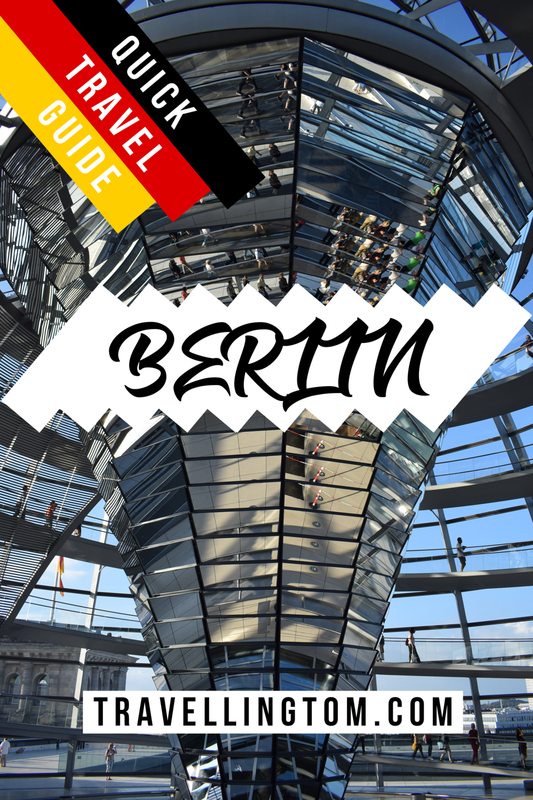 Accompanied by an audioguide, walk up the spiral pathway and see the skyline of Berlin while the guide describes all of the significant landmarks and buildings that you can see. Hit them with the BranDABurg! The Brandenburg Gate is one of Berlin’s most important monuments as well as being a symbol of the city. With over 200 years, the gate drew visitors in divided Berlin who used to climb the structure in order to see what lay behind the Iron Curtain. Present day visitors are more likely to be equipped with mobile phones and selfie sticks, rather than a curiosity to see a city divided. Construction of the gate started and finished in the late 18th century and it was built on the orders of Prussian kind Frederick William II. The site on which it stands used to be home to another city gate that marked the start of the road from Berlin to the town of Brandenburg an der Havel, which used to be the capital of the Margraviate of Brandenburg. The Berlin Wall is not just one of the most culturally and historic monuments in Germany, but its influence spread further afield across the continent. Erected in 1961, with Berlin still struggling post-World War II, the guarded concrete barrier was constructed by the German Democratic Republic to cut off, by land, West Berlin from virtually all of surrounding East Germany and East Berlin. It was torn down in 1989, but remains an important part of Berlin’s fabric. You can still see part of the wall at the famous East Side Gallery, a 1.3-kilometre stretch of mural-laden barricade. It is the largest open-air gallery in the world and the longest continuous section of the Berlin Wall still in existence. Surveying the scene at Checkpoint Charlie. The Wall Museum at Checkpoint Charlie tells the story of the Berlin Wall and allows visitors to live its history and fall, while the Berlin War Memorial contains the last piece of the Berlin Wall with preserved grounds behind it, thus creating a true impression of what it was like at the time. 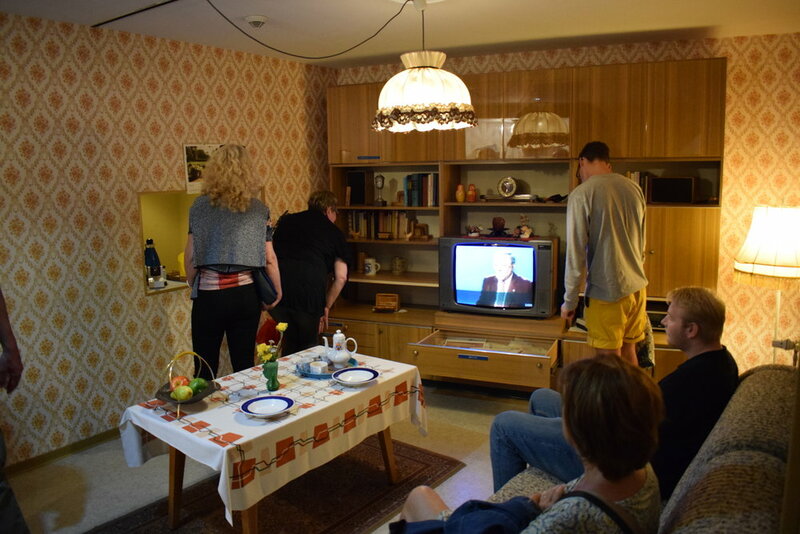 The DDR Museum is another great place to visit, and details life in East Germany before, during and after the wall. Built for the 1936 Summer Olympics, the Olympiastadion, or Olympic Stadium, is also a popular Berlin tourist attraction. It officially opened on 1 August 1936 with the Olympic opening ceremony, and perhaps the most notable event during the games were the four gold medals of African-American track and field athlete Jesse Owens. Today the Olympiastadion is the home ground of Hertha Berlin and hosted the 2006 World Cup Final. The exterior of the Olympiastadion. The old Olympic swimming and diving facilities are open to the public in the summer. Various options for stadium tours are available, including self-guided wanders and guided tours in German, or visitors can purchase tickets to a Hertha game if they want to check out the Olympic Stadium, which even non-sports fans will be impressed by. Berlin’s Museum Island is a UNESCO World Heritage Site with five museums devoted to archaeology and art, all of which also display impressive architecture. Although all are world-renowned, the most famous on the island is the Pergamon Museum, which contains multiple reconstructed buildings of immense historical value such as the Pergamon Altar and the Ishtar Gate of Babylon. The Bode Museum on the island’s northern tip contains sculpture collections and late Antique and Byzantine Art, the Alte Nationalgalerie houses some of the country’s most prestigious art, the Neues Musum covers Ancient Egypt and the Altes Museum is where the antiques collection of the Berlin State Museums can be found. Entrance to all five museums can be combined into one ticket. Berlin Hauptbahnhof - one of the city's main gateways. Thanks to a number of great transportation hubs, Berlin is one of the most accessible cities in Europe. Both of its airports serve hundreds of destinations across the globe, and Berlin is well connected to the rest of Europe with a whole host of budget airlines operating services in and out of the city, meaning it’s fairly cheap to get to. If you’re travelling in from another part of Germany or any nearby countries including Poland, Czech Republic and Austria, then it’s probably cost effective, and a little more adventurous, to get the train or bus. Although direct lines do run as far as Novosibirsk in Russia and Astana in Kazakhstan, Berlin has regular rail services running closer to home. To find out more and to get timetables and ticket prices, head to the website of Deutsche Bahn, the German national rail company. If a road trip is more your style, get the bus to one of several continental destinations. We arrived in Berlin from Prague on a FlixBus. Flixbus provide a great, cheap, safe and well-organised service, while also having modern coaches, meaning you don’t have to compromise on comfort, although other bus companies are available. I honestly prefer travelling around Europe on coaches as opposed to rail because it’s cheaper and, in a lot of cases, more convenient. One of Berlin's new and shiny trams! Berlin is one of the best connected cities in the world and is served by several public transportation systems. The U-Bahn is the underground rail network and is great for darting around the city centre and moving short distances, while the S-Bahn covers longer journeys and goes further afield. Trams and buses are also a great way to get around Berlin as they allow passengers to transit while still soaking up the city’s street views. MEININGER Berlin Central Station next to the aforementioned Hauptbahnhof. We stayed at the hotel-hostel hybrid MEININGER Berlin Central Station. The new, clean and conveniently-located property was well served by the train station next door, and although we had a private room, we were able to reap the benefits of its common area. Berlin is a city with many accommodation choices, and I tend to use Booking.com to find where I’m going to stay. 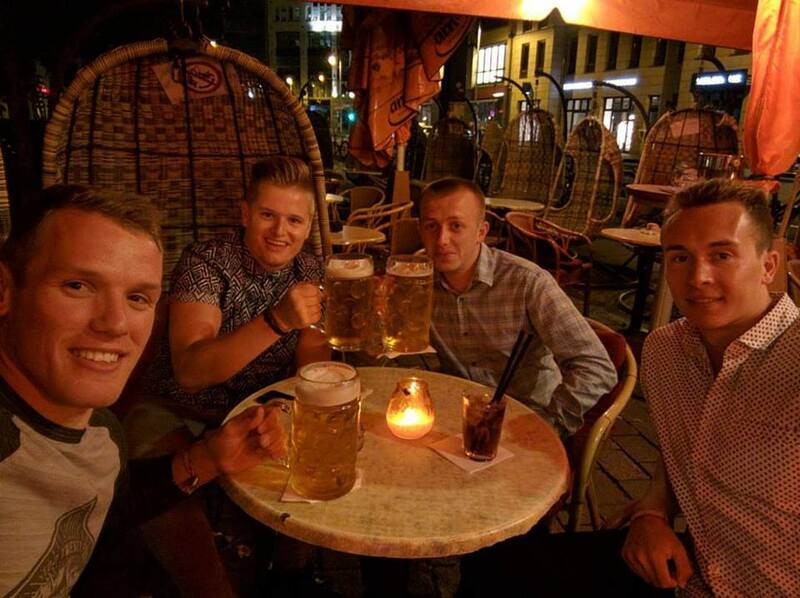 You can’t go to Germany without having a stein. Whether it’s a good old mug of lager or something of a non-alcoholic variety for those who don’t drink, standing on benches waving litre glasses and thrusting arms to the sound of live music is nothing less than tradition. Hofbrau Munchen and Brauhaus Lemke are two great places to indulge in this German pastime. Another local favourite is currywurst. Invented in Berlin, this dish consists of a steamed and fried pork sausage seasoned with curry ketchup and curry powder. It’s an acquired taste, but I, and many Berliners, enjoy it. One of Berlin’s best assets is its nightlife, heavily influenced by the genre of German techno. There are plenty of nightclubs dotted around including converted power station Tresor and the two-floor Watergate, which overlooks the River Spree. The Memorial to the Murdered Jews of Europe, which is one of Berlin's most popular and poignant installations. For what it’s worth, I think that Berlin is a cracking city. It has a lot going for it and there is so much to see and do. But at the same time it has somewhat of a negative aura. Bad things have happened in Berlin, and a lot of museums and monuments bare constant reminder to that. Wherever you turn, there seems to be some reminder of World War II, the Holocaust or the Berlin Wall. I believe that it is important to highlight history and to talk about it in detail so that future generations don’t repeat the mistakes and tragedies of previous ones, but there’s so much to take in, in Berlin. It almost feels as though it will never step out the shadow of its past, and just isn’t a positive a place as the likes of Hamburg and Munich are. German techno nights are a bizarre experience if they’re not something you are used to, but they are a part of the Berlin experience. A dark room, loud, pounding music and robotic dancing were strangely enjoyable, even if we weren’t allowed to take photos. An ironic rule for somewhere so poorly lit, Tresor made it difficult for us to flood our Snapchat stories with drunken pictures and videos. But we did get a couple of sneaky ones in there, including the cover of our next album – release date TBC. The Fernsehturm Berlin, also known as the TV Tower, is the tallest structure in the city, standing at 368 metres tall. Unsurprisingly, it has an observation deck, serving up incredible views across Berlin and its surrounding areas. But while it is well worth a trip, I wouldn’t prioritise it over the Reichstag. While Fernsehturm is good, it’s just one of many generic viewing towers that many places across the world are home to. The Reichstag, while also being completely free, puts a unique spin on city views, and its panoramic offering, in my opinion, is vastly superior to the TV Tower. Waiting for the S-Bahn at Berlin Hauptbahnhof. Although, like I said above, Berlin is one of the best-connected cities in the world, their public transport map is super confusing. Of course when it’s broken down it isn’t too bad, but there are so many stations, it’s almost hard to decipher whether you’re waiting for the U-Bahn, S-Bahn or something else. Bayern store in Hertha town? The Bayern Munich shop at the Mall of Berlin. One of the biggest surprises in the city is at the Mall of Berlin. Although Hertha Berlin is the capital’s biggest and most successful football team, the most decorated team in Germany, Bayern Munich, have a presence in the form of a fanshop at the mall. 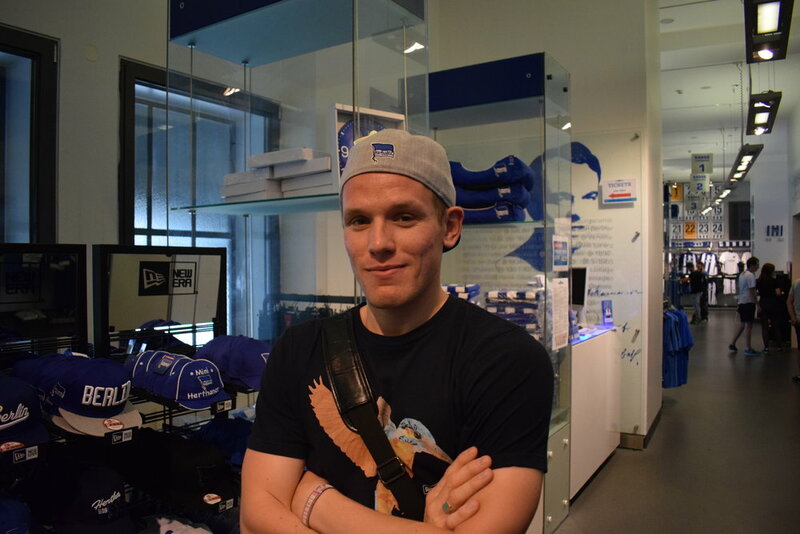 Inside the Hertha Berlin store at the Olympiastadion. I know they’re the footballing force in Germany, but it was disappointing to come across a Bayern store in Berlin. Although Hertha have plenty of fanshops dotted around the city, it felt like Munich were stepping on their toes, and the toes of the other Berlin football teams. Then again, if it’s anything like England, there are probably plenty of glory hunters that need serving in northeast Germany. Looking down over the River Spree and Berlin from the TV Tower. Germany has around 1,700 bridges, which is even more than can be found in Venice! The bridges cross more than 180 kilometres of navigable waterways in the German capital.